At Precept Services Pty Ltd, Health, Safety and the Environment are at the forefront of every decision we make. We will never go ahead with a project that we feel could compromise the health our safety of our staff, our clients, the community or the environment. Our qualified Work Health and Safety and Quality Assurance (WHS/QA) Manager is dedicated to ensuring that all of our systems, policies and procedures are an effective means of ensuring heath, safety and quality. This allows us to create a safe work environment for our staff and clients as well as giving stakeholders the promise of full compliance with all relevant legislation, regulations, site rules and legal requirements. A key aspect of our commitment to safety is the personal meeting our clients enjoy with our WHS/QA Manager. This meeting is a forum for our clients to raise any queries and concern they may have and to streamline the procedures and paperwork. This meeting allows us to start the project on the right foot and it ensures a smooth and safe completion of the project. Precept Services Pty Ltd has a comprehensive set of policies and procedures in place. All of our staff is trained according to these standards and they are required to sign-off on them before they begin work. Company wide adherence to these standards is ensured by our WHS/QA Manager. Precept Services Pty Ltd understands that each work site poses its own challenges and we have given our staff exhaustive training in risk assessment, safety analysis and risk mitigation. We have a comprehensive set of Policies and Procedures and systems in place to ensure we always do the best work, in the safest way possible. Click on the Policies page to see just a selection of the documents we have in place. We stand by the capability of both management and staff to ensure that each and every project is completed to the highest standards of safety, environmental responsibility and quality. All levels of staff are aware of their responsibility in ensuring that projects are completed to the standards set out in our polices and procedures and everyone has a role to play in ensuring that no short-cuts are taken. We have built our name on our ability to achieve those three standards simultaneously and they are all non-negotiable. A decision to engage our services is a decision to work with a company that is aware of it’s responsibilities to it’s staff, it’s clients, the environment and the wider community. 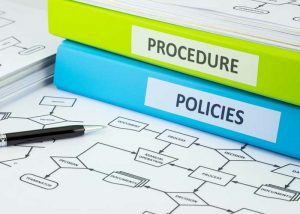 Our policies and procedures are a tangible document of our awareness of these responsibilities. Our day-to-day actions are the fruition of management focus on actualising the words contained in our policies and procedures and the consistency of our delivery is proof of our success in imbuing our staff with a sense of the importance of their job and their duty to the core beliefs of Precept Services Pty Ltd.
Clients are free to view our policies and procedures, all of which have been certified to Australian and International Standards and all of which are reviewed on a bi-yearly basis.